← #BPSpill to get Big Screen treatment in ‘Deepwater Horizon’. #rsrh || Starring Kim Kardashian as “The Toolpusher”?? Ms Ri is thought to be the same "mystery woman" who accompanied Mr Kim to several events in recent weeks and whose Western dress and hairstyle led some to speculate on the influence of Mr Kim’s brief European education. Ms Ri is believed to have married Mr Kim in 2009 and given birth to a child the following year, analyst Cheong Seong-chang told the South Korean Korea Times newspaper. 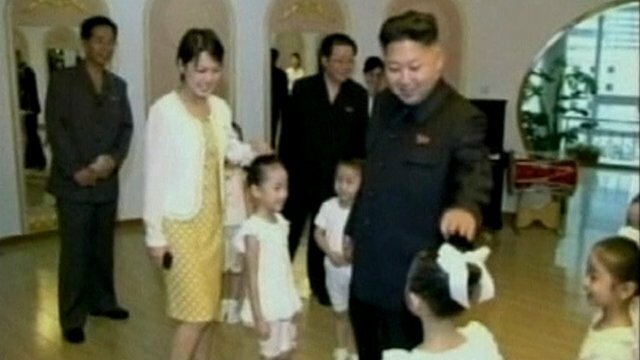 "The late North Korean leader Kim Jong Il arranged his youngest son’s marriage in a hurry after suffering a stroke in 2008," Mr Cheong said. Ms Ri studied science and is from an upper-class family, her father being a professor and her mother an obstetrician, he added. "How do you like children, Your Un-ness?" "Deep-fried. With a side of kim-chee." This entry was posted in DPRK and tagged Juche, Ri Sol-ju. Bookmark the permalink.